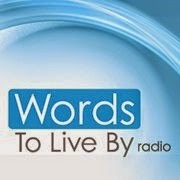 A couple of years ago, Larry and I were invited to do an interview with WORDS TO LIVE BY RADIO. We shared about how we experienced God in the early years of Carly’s life when disability was devastatingly new and we struggled to ask for help so Carly might thrive. That episode is re-airing again this coming weekend, Saturday and Sunday, September 13 & 14. I hope it’s encouraging to you. Please join us in praying that God will use this once again to reach into things like broken heartedness, hopelessness and loneliness. For more of the story about those early years, read Finding Glory in the Thorns — the book about how Carly, her family and the community surrounding them experienced love, hope and unexpected miracles in the midst of shared struggles. Finding Glory in the Thorns and the small group curriculum Finding Glory Group Discussion Guide are both available at the Walk Right In Ministries store and Amazon. Finding Glory in the Thorns is also available for your eReader on Kindle, Nook and iBook (Apple). Next Next post: Let us show you how to ROCK a Fall Saturday afternoon!